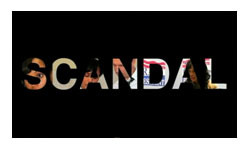 Good grief, was that really only season 3 of Scandal? This show is like something on fast-forward, burning through plots and defcon levels at astronomical rates. Unfortunately, I think that means in the space of 3 seasons 2 they’ve propelled themselves through the growth phases and (to extend my rocket metaphor to breaking point) rather than settling into a happy steady orbit, they’ve burnt out and are about to crash and burn. If you look at Shonda Rhimes most successful show Grey’s Anatomy, it’s made it to 11 seasons because most of the time it’s quite small. It’s about individual doctors living their lives and treating individual patients. When it struggles is when it tries to be big with plane crashes and life changing ridiculousness, but the moments that the fans keep tuning in for are the small moments of connection and relationships. Scandal went the other way. It didn’t want to be about small things, it wants to be about Presidents and politics and conspiracies and the safety of the good old US of A. And it’s ridiculous. By midway through the first season they’d made things so big that they couldn’t back down and the only way was to keep getting bigger. SPOILERS! So in season 3, Olivia’s mother, who’s an international terrorist, tries to kill Olivia’s lover, who’s the president. But she is foiled by Olivia’s other lover, who runs a secret government spy agency, which used to be run by Olivia’s father. Meanwhile the vice-president has decided to run against the president, despite the fact that she recently murdered her husband after finding out he had an affair with a journalist, who is also the husband of the president’s chief of staff. But the chief of staff and the secret spy agency covered it up. But then journalist wanted to come clean, so Olivia’s lover (the spy one, not the president one) killed the journalist, who also happened to be the father of Olivia’s godchild. To coin a phrase from Grey’s Anatomy – Seriously?! I mean the whole thing is just idiotic. Which I’d be kind of ok with, because the dialogue is snappy, the monologues heartfelt and the characters are fun to watch thanks to some great performances. But at some point through the season I stopped caring about the characters and they instantly became phenomenally annoying. Olivia is the centre of this cloud of awfulness and all her attempts to make it better just make it worse. I can sympathise with crap luck, but she’s just out of control at this point and dragging everyone down. Her endless whining about wanting to be with the president just bores me, because fundamentally – he’s not a very nice person. He’s like Derek Shepherd (who I’ve also never thought is the least bit dreamy), he’s arrogant, self-righteous, ambitious for all the wrong reasons, manipulative and awful to the people around him. If he wants to be with Olivia so bad, STOP BEING PRESIDENT! Quit. Just go. Everyone around him is selling their souls (without too much encouragement it has to be said) for him to be president and all he seems to care about is making jam and babies with Olivia. So for the sake of everyone… go do that! Once that thought has crossed your mind, unfortunately the whole series unravels, because all the stories are basically built on keeping the president in office and no one seems to be willing to look at why that’s a good thing either personally or for the country. I made it all the way to the end of the season because frankly I was in need of something stupid and mindless to watch and this filled a hole. Whether I’ll be back next year rather depends on whether I have anything else filling my quotia of mindless television. I’m not actually sure which outcome would be considered “good”.